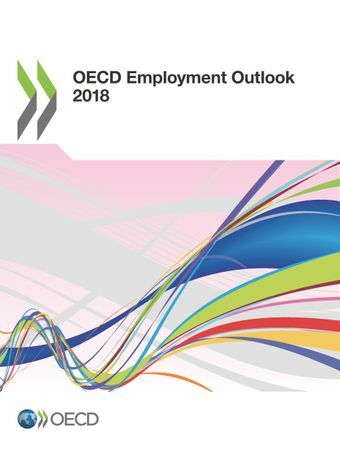 The 2018 edition of the OECD Employment Outlook reviews labour market trends and prospects in OECD countries. Chapter 1 presents recent labour market developments. Wage growth remains sluggish due to low inflation expectations, weak productivity growth and adverse trends in low-pay jobs. Chapter 2 looks at the decline of the labour share and shows that this is partially related to the emergence of "superstar" firms, which invest massively in capital-intensive technologies. Chapter 3 investigates the role of collective bargaining institutions for labour market performance. Systems that co-ordinate wages across sectors are associated with better employment outcomes, but firm-level adjustments of sector-level agreements are sometimes required to avoid adverse effects on productivity. Chapter 4 examines the role of policy to facilitate the transition towards new jobs of workers who were dismissed for economic reasons, underlying the need of early interventions in the unemployment spell. Chapter 5 analyses jobseekers' access to unemployment benefits and shows that most jobseekers do not receive unemployment benefits and coverage has often been falling since the Great Recession. Chapter 6 investigates the reason why the gender gap in labour income increases over the working life, stressing the role of the lower professional mobility of women around childbirth. Polish Przegląd OECD "Zatrudnienie w roku 2018"
Editorial: Wageless growth: Is this time different? Collective bargaining systems are at a crossroads in many OECD countries. In this webinar, we will assess the role that collective bargaining systems play for employment, wages, working conditions, wage inequality and productivity (chapter 3 of the publication). We will also discuss what policy-makers, unions and employers’ organisations can do to adapt their national bargaining systems to the challenges of a changing world of work. 10 years after the beginning of the crisis, there are finally more people with a job than before. Yet, wage growth remains considerably below pre-crisis trends. In this webinar, we will address factors behind the persistent wage growth slowdown (chapter 1 of the publication). While low inflation and productivity growth explain much of these patterns, the dynamics of low-pay jobs and the wages associated to them also play a significant, but understudied, role. The tables of the statistical annex show data for selected indicators on labour market outcomes and policies for the OECD countries and selected non OECD countries. ► Our OECD Employment Database offers a large range up-to-date statistics for international comparisons and trends over time.